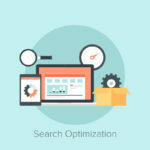 Business owners wanting to get better visibility for their websites simply should not ignore the vital importance of conducting Search Engine Optimization (SEO) campaigns. Of course, every campaign starts with your website and how it is best optimized for ranking in search results. However, a successful internet marketing campaign doesn’t end with ranking alone but in having better website visibility where it matters the most – at the critical points of your targeted customers’ buying process. 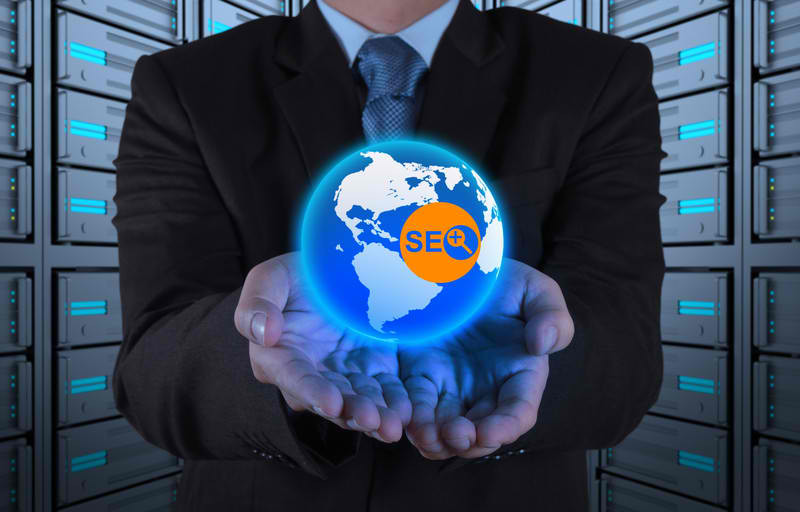 On-page SEO is the process that you should integrate in your internet marketing campaign. The process involves optimizing your website not only to work your way around search engine algorithms but also to connect successfully with your targeted visitors. 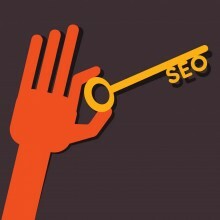 The process goes beyond keyword densities or specifying meta tags as what many people think on-page SEO is. It is so important that it can practically define success or failure not only in search engine rankings but in your overall internet marketing campaign as well. The Internet is filled with articles and blog posts recommending on-page SEO and other internet marketing techniques promising to help you boost your SERP rankings. While many of these techniques actually do work, not all can bring the right kind of results you want. These strategies might bring much traffic as your website bandwidth can handle, but there is the possibility of drawing traffic that will not convert – putting all your marketing efforts down the drain. 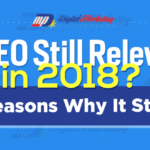 Digital Marketing Philippines attempts to flesh thing out and present to you only techniques that really matter, strategies that actually bring results. 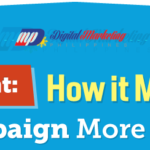 These are the same techniques internet marketing pros and gurus use in their own campaigns, and are made available for you here to help usher in a new era of business success. If you’re left to choose only one process or technique to use in your on-page SEO campaign, then you should go for filling your site with really good content. Your website will survive even without any conscious and well-planned SEO implements as long as you have very good content. It’s the only website element that remains constant across all variations any search engine may implement with their search algorithms. Original Content – good content that is not copied or rewritten from existing materials found in the internet can be your website’s most precious commodity. These include articles, infographics, podcast and videos. First Publications – good, original content that was first published in your website should fill your pages. It would be best to invest in this kind of content instead of syndicating or copying content already published on other websites. Non-article Text – you should also focus on other text and website copy that is not directly integrated to the main body of an article or website post. This includes image or video descriptions that clearly explains, in original and well-written text, what the image or video is all about. Search engine robots will not index graphics and videos directly but will rank them in search results based on their descriptions. Useful Content – Content adds value to your website but people at most will not be interested in your ranting or other non-relevant, random thoughts published just for the sake of publishing. Your website should have good, well-written content that is relevant to your niche and that readers will find very useful for their needs. Well-researched Content – Readers are not interested in poorly prepared articles filled with fluff, trains of thought that lead to nowhere, text and words that really do not answer anything. Articles should be well-researched with information coming from reliable and reputable sources. These articles have the tendency to be written long, but it has been clearly proven that articles over 1000 words will rank better than the short, traditional 300 or 500-word articles. Regular Posting Frequency – Search engines, and your readers as well, love freshly-written content that is published on a regular basis. You should set a regular posting date for your new content – and stick to your schedule as much as possible. Descriptions – create good, unique and keyword-enriched page descriptions that will appear in SERPs. Look at it as a summary of your page and its initial sales copy that may convince searchers to click on your website page link to know more about what your content can offer. A good rule of thumb for page descriptions is to limit its length to 150 characters. Formatting – use proper formatting for your web pages to make it easier for readers to read through your material. Treat it like a formal report, complete with headings (designated as h1) and sub-headings (designated as h2, h3, and so on). Use highlights like underlines, italics and bold faces to give emphasis on important information you would like to convey. Use easy-to-read and good-sized fonts (good rule of thumb is 12px). Limit paragraph sizes to 5 or 6 lines max. Original Images – just like everything else in your website, good, original images can really make your pages stand out. If you really need to use images from other sources, make sure you include a complete reference to your source. Optimum Image Size – Web pages that load very long is a big turnoff to web visitors, and this is often caused by large-sized image files. Keep your image sizes small without compromising on the quality. Make Use of ALT tags – As mentioned earlier, search engines will not index images directly but through the descriptions you put in their ALT tags. It will tell search engines what your image is all about for better indexing during searches. Bad permanent link – “www.businessname.com/page1234? Using Categories – when your pages are grouped into categories, it will help both search engines and website visitors search and crawl through your site when looking for a particular set of information. As the size of your content grow, categorizing each page properly according to topics will make up for a good overall website structure. Utilizing Breadcrumbs – this navigation tool is very useful for users as they can have a guide on where they are now within your website and how far they are from the home page or a main category page. Utilizing Sitemaps – A sitemap is a distinct html page within your website that is configured to represent the pages, categories and content of your web pages. Inclusion of a sitemap in your website can also help search engine robots crawl through each of your web pages faster and more accurately. 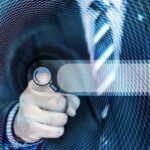 One on-page SEO technique that most pros perform but is often overlooked by other webmasters is internal linking. Linking within your web pages, particularly for relevant keywords each of your web pages represent, makes it easier for search engine robots to follow through with the links and crawl and index other pages within your site – even the most obscure ones. When building your internal link system, watch out for duplicate and broken links. You may think such links are harmless but they can really put a big dent on your on-page SEO efforts, as well as drive off turned-off website visitors. Recent changes in search engine algorithms, particularly with Google, placed a bigger emphasis on website speed. Google likes speed and they would most likely index and favore web pages that load faster. Even with good content, pages that load very slow may find themselves running behind other pages with optimum loading speeds. Another element Google is focusing on is to prioritize and rank web pages that were written by Subject Matter Experts, or those considered authorities of a particular topic. This is determined in conjunction with Google+ profiles, with accounts having more followers given bigger opportunities for higher ranking. Google authorship may still be considered new in its early stages, but the potential for internet marketing success particularly in SEO through this tool is enormous. To launch a successful on-page SEO, you need to implement tested strategies that most pros actually used in optimizing their own websites and draw the right kind of traffic they want. If you want to gain substantial results and generate considerable conversion rates for your internet marketing campaign, then it would do you much good to follow the following strategies and techniques – just like what the pros do.